NEW YORK, NY--(Marketwired - December 08, 2015) - Scout Finance, a pioneer in bringing a "Mobile-First" approach to financial research, announced today a next-generation user interface for iPhones and iPads now available in the Apple App Store. The new release positions Scout Finance as an innovative solution for investors by greatly increasing their productivity through an easy-to-use mobile experience. 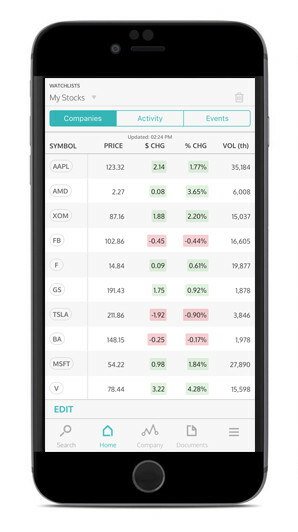 The new user interface and its availability in the App Store allow Scout Finance to more effectively provide one-touch access to charts, financial statements, company analytics, investor presentations, filings, earnings transcripts, and more to Professional Investors, whether they are in or out of the office. 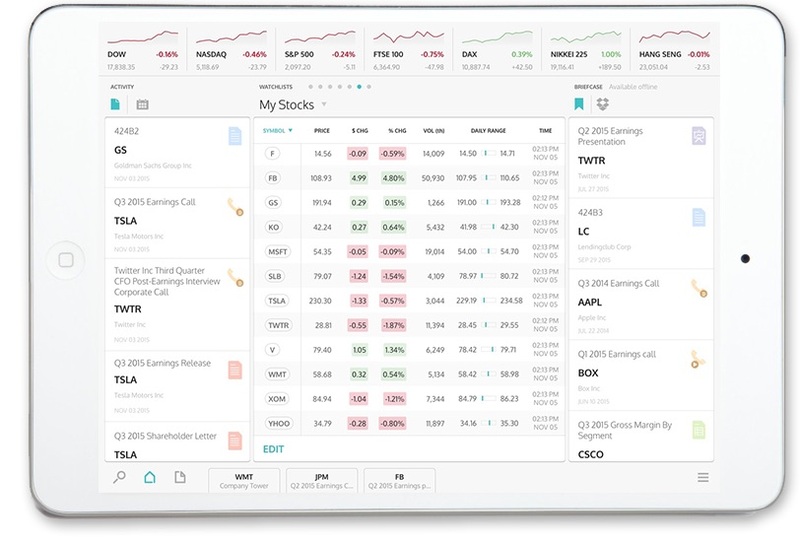 "In today's day and age, where professional investors are in meetings or on the road seeing companies or clients as often as they are at their desks, Scout Finance is a must-have service for accessing corporate fundamentals," said Jeff Parker, the Founder of First Call and StreetEvents, and former Chairman and CEO of Thomson Financial. "The speed and accessibility to key information can literally save hours a day for hedge funds and other institutional investors," said Vivek Nasta, CEO of Scout Finance. 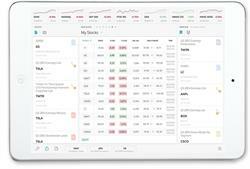 "For Wealth Managers and Investment Advisors who don't typically have an expensive market data terminal at their disposal, and who often have to rely on free tools that are clunky and lack critical information, Scout Finance provides a professional-grade solution at a fraction of the cost of expensive legacy solutions." One-touch access to corporate data and financials is also available from Scout Finance for media use. For more information or to request access, email support@scoutfin.com. Scout Finance is the pioneer in bringing a "Mobile First" approach to professional investors by offering one-touch access to corporate information and financials through a mobile application available through the App Store for the iPad and iPhone. The mobile-based tool is transforming the way investors perform company research with a professional grade solution at a fraction of the cost. Founded in 2014 by a team of buy-side professionals and mobile technology experts, Scout Finance is headquartered in New York, NY. For more information about Scout Finance visit www.scoutfin.com.